6 transportation ideas for the block area. From old denim jeans to inclines and ramps. 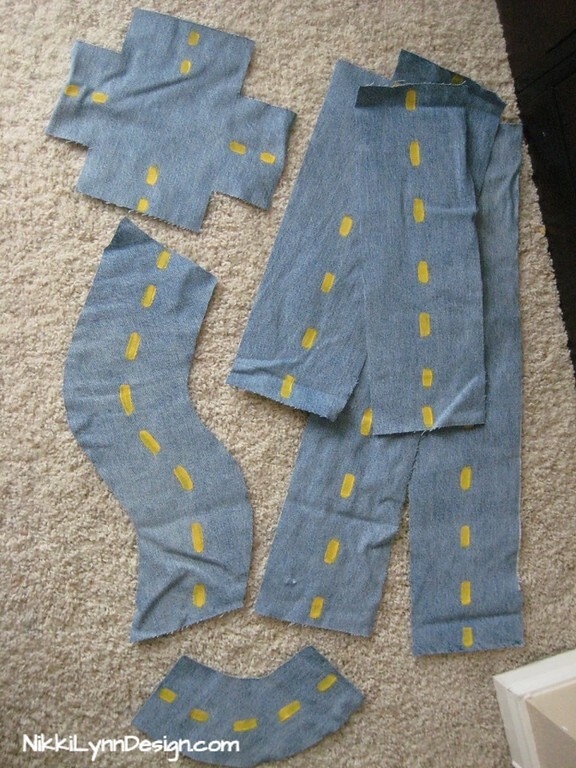 Recycle your old denim jeans into a roadway system. 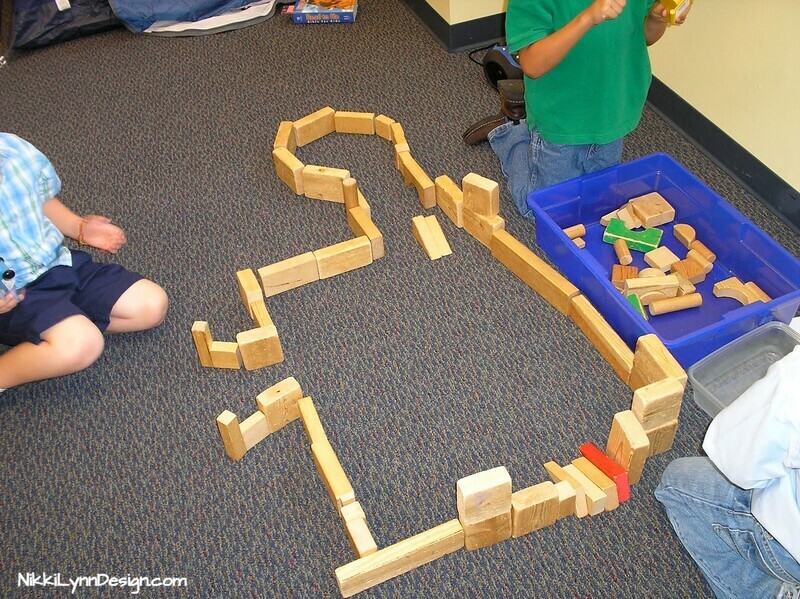 Place airplanes into the block area, the children can make runways (blocks end to end) & build control towers. Cut out alphabet letters from black construction paper. Add passing lines with chalk. 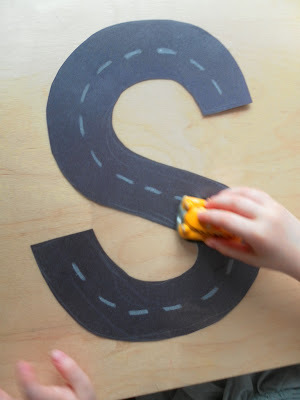 Laminate the letters if you would like to reuse them year after year. 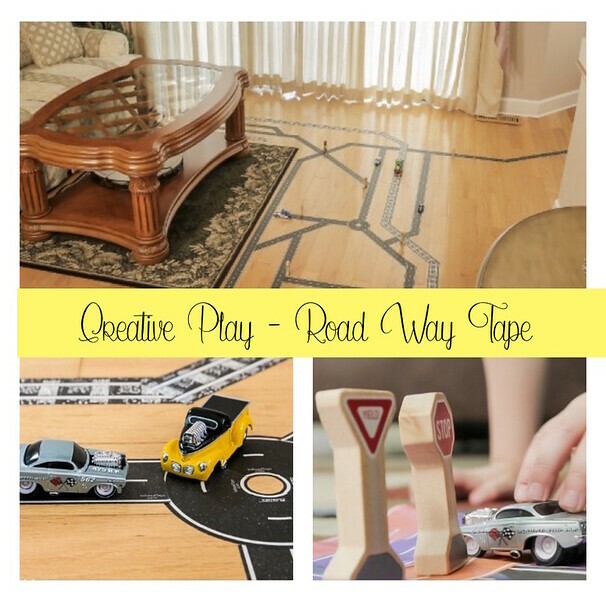 Use this Inroad Toys Classic Road Series 30’X2″ Black Road tape with Matchbox type cars to make roadways. It is like painters tape. It sticks well, but does not leave a sticky residue. Use legos and cardboard boxes to make tunnels. Build ramps. See how fast or slow cars can go with different inclines. I wanted to share a PDF File from The National Association for the Education of Young Children it is a large, nonprofit association in the United States representing early childhood education teachers, para-educators and center directors. So many times you hear that the kids are “just playing.” Well, with ramps and inclines they are not simply playing. 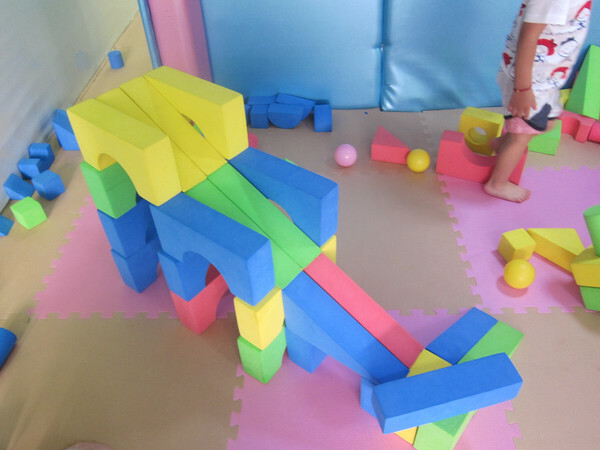 With the incline, marbles, and cars; children have a quest to figure out how to get the marble to do what they want it to. This is what scientists do. It is called an inquiry. And it is one of the primary goals of science education. If we are choosing “educational” items to play with and there is a reason for our play. Sometimes you just don’t want to spend a lot of money. Here is a quick solution. Print out the patterns below and tape them to your blocks. Provide the “traffic signs”, cars, trucks and heavy pieces of cardboard that are designed to serve as roads. 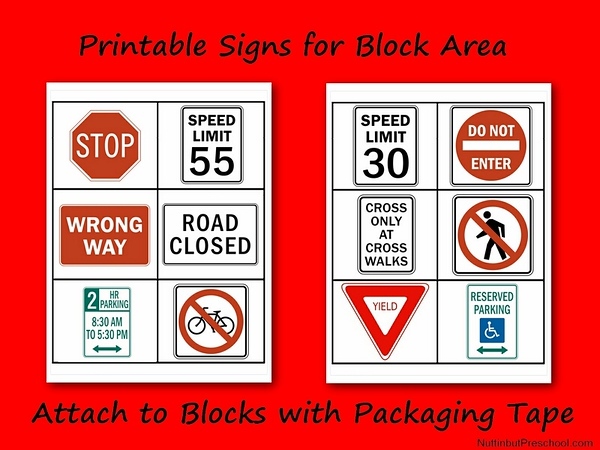 Printable traffic signs (here).